"Transients" completed production on the evening of August 9, 2010. 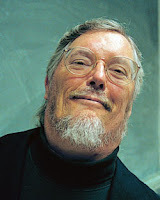 My friend, disability scholar and activist Paul Longmore, passed away the same evening. I found out about his passing via Facebook on August 10th. I was devastated to hear the news of his passing, as it was unexpected. I immediately felt the loss, especially since I was planning to study with him in two weeks at San Francisco State. The opportunity to study with him is one of main reasons why I wanted to go to SFSU. He wrote this amazing book called "Why I Burned My Book and Other Essays on Disability". In there are essays relating to disability and media, a topic of great interest to me. I've spent the past year and certainly the past few months talking about the impact that disability and deafness have had in my life. Few know that I seriously considered going into disability studies for graduate school...until I met Paul. I went up to visit San Francisco in January 2010 to check out SFSU and to meet Paul and another professor. Paul asked me what I wanted to do. It wasn't the first time that I had been asked that question, but how he asked it and how he responded to my answers really made me think. This conversation hit me harder than the rest, and I concluded that my place was in film. I don't like to pigeonhole myself as a type of filmmaker (I am a filmmaker first) or limit myself to specific careers, but I will say this: I knew that I had to continue being a filmmaker. The issues that I cared about could all be shown in my filmmaking--both onscreen and off. Paul and I laughed about the endless movie trivia we knew, and he knew more than me (and I'm the one who went to film school). After talking about Bunuel, Keaton, Kurosawa, and others, he said, "I don't think you should come here." He paused. "We would never get any work done!" I felt connected to him immediately--as an activist, an ally, a friend, a mentor, and an artist. I knew I wanted to study with him while I continued to be a filmmaker. He even said that we could work together on developing a dream class of his at SFSU on disability in film. I was so excited about that. "Transients" will be dedicated to him. This really touched me, Rhi. I didn't know Paul that well, but had worked with him through a book he edited and of course, had talked to him at conferences and other events. Despite my limited contact with him, each time we spoke he gave me something to think about. He made such a difference for so many people. Sorry for your loss, Rhi. I'm so touched to learn that Transients will be dedicated to him. PS - if you are still going to SFSU, you should get in touch with Anita Silvers, a brilliant philosopher and disability studies scholar.